Lock in a great price for Hyatt Centric Waikiki Beach – rated 8.7 by recent guests! Rooms were a nice size. Keurig included. Bathrooms had a walk-in shower and bidet. Nice selections of channels on TV. Walking distance to all sorts of restaurants and International Marketplace. Lobby was cute and boutiquey. 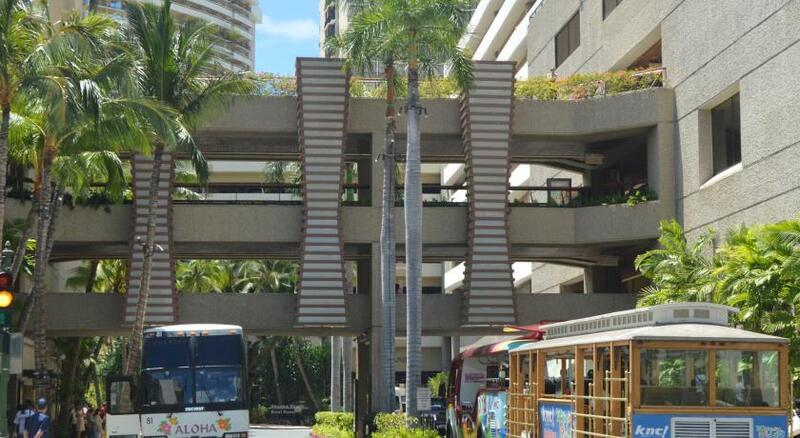 Perfect middle location if you want to explore both sides of Waikiki! And it’s right across International Marketplace. The room size, lighting, and modern esthetics were perfect for our relaxing staycation. The staff was very helpful. The valet was really good too. All and all a good place. Ease of checking in and out; rooms are great; location is great. Room size, view , quiet, view, friendly staff, on-line checkout. The hotel is clean, feels super new and modern. Loved the view from my room (Mountain view) and from the 19th floor (beach). The location is unbeatable. 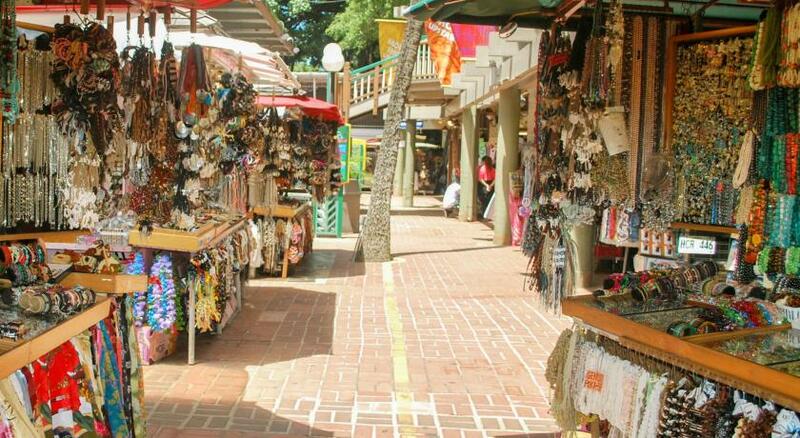 Perfect location for shopping and foods, also 5 mins to Waikiki beach by walk. I stayed "Ocean view suite", and the view was wonderful. Room was very clean and modern. I will stay this hotel next time in Hawaii again. rooms were nice, staff were great and locations is very central and close to everything. 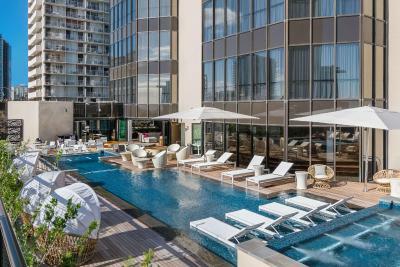 Hyatt Centric Waikiki Beach This rating is a reflection of how the property compares to the industry standard when it comes to price, facilities and services available. It's based on a self-evaluation by the property. Use this rating to help choose your stay! 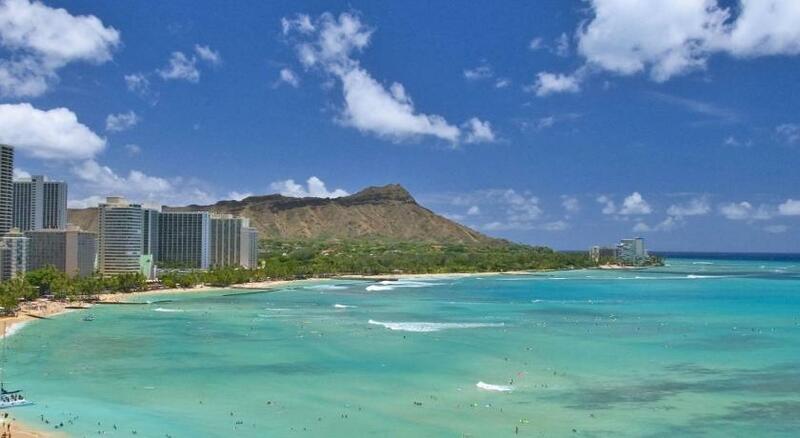 One of our top picks in Honolulu.Hyatt Centric Waikiki Beach is a beachfront property located in Honolulu. 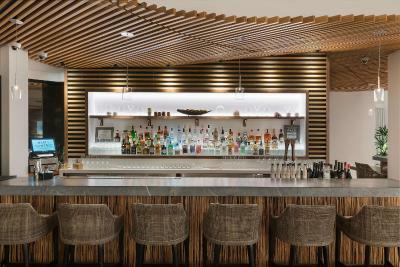 It offers an on-site restaurant and bar, a lounge with a wading pool, and outdoor fire pits. Each room at the property is equipped with a 55" flat-screen TV, an in-room coffee maker, a mini refrigerator, and a clock. Rooms also include floor-to-ceiling windows with various views. 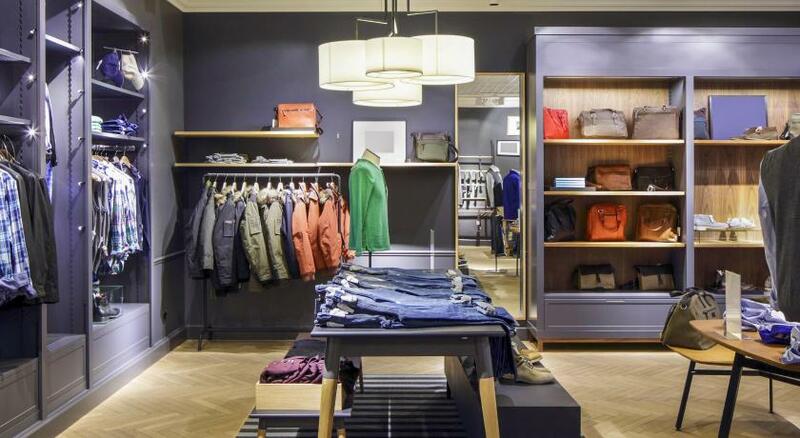 The property offers a fitness center, a business center, and a cafe. The Lanai Restaurant offers local cuisine available for dinner. The resort also offers bike hire. Waikiki Beach is 1,300 feet from Hyatt Centric Waikiki Beach, while Kuhio Beach Torch Lighting & Hula Ceremony is 1,650 feet from the property. The nearest airport is Honolulu Airport, 6.8 mi from Hyatt Centric Waikiki Beach. 뀐 Located in the top-rated area in Honolulu, this property has an excellent location score of 8.9! When would you like to stay at Hyatt Centric Waikiki Beach? This room offers floor-to-ceiling windows, a flat-screen TV, a mini-refrigerator, and an in-room Keurig machine. This room offers floor-to-ceiling windows with a city view, a flat-screen TV, a mini-refrigerator, and an in-room Keurig machine. This room offers a flat-screen TV, a mini-refrigerator, an in-room Keurig machine, and floor-to-ceiling windows that highlight the city, mountain, or ocean. This room offers a flat-screen TV, a mini-refrigerator, an in-room Keurig machine, and floor-to-ceiling windows that highlight views of the ocean. This room offers a flat-screen TV, a mini-refrigerator, an in-room Keurig machine, and floor-to-ceiling windows that highlight views of the mountains. This suite offers a flat-screen TV, a mini-refrigerator, an in-room Keurig machine, and floor-to-ceiling windows that highlight views of the ocean or city. 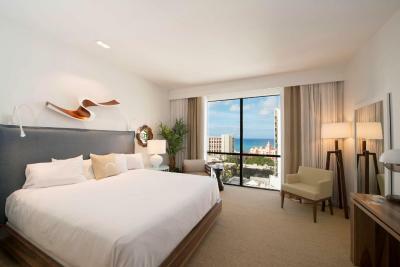 This suite offers a flat-screen TV, a mini-refrigerator, an in-room Keurig machine, and floor-to-ceiling windows that highlight views of Diamond Head. This suite offers a flat-screen TV, a mini-refrigerator, an in-room Keurig machine, and floor-to-ceiling windows that highlight views of the ocean. This quadruple room features air conditioning, bathrobe and seating area. This quadruple room features a seating area, bathrobe and air conditioning. House Rules Hyatt Centric Waikiki Beach takes special requests – add in the next step! Hyatt Centric Waikiki Beach accepts these cards and reserves the right to temporarily hold an amount prior to arrival. There is a security deposit required upon check in. Contact the property for more details. Breakfast-included rates are for 2 adults only. Contact the property for more details. Staff seemed mostly indifferent with the exception of one man. There’s no service elevator. Breakfast was ridiculously overpriced. Wading pool was great for a toddler, lame for any adult. Swimming pool is too shallow for swimming. If we had kids with us they would have been very disappointed. Very friendly staff and modern building. Central location. Quiet room with a view. The pool could be a little bit bigger and have a separate area for children, it was more geared towards adults rather than a play area for kids. No free parking for hotel guests. Self parking or valet parking (45$/day) is available, so you need to take this additional cost into account. Great location, very nice and comfortable rooms with no street noice, close to Waikiki beach. Hotel is so nice that provides their guests with sun cream, beach accessories (beach towels, beach chairs beach toys for children, etc. ), refill water bottles, water stations in hotel. Upon checking in, we were offered to wait a couple of extra hours so that the hotel could satisfy our Booking requests (high floor, with ocean view), which made us change plans for the entire afternoon. Upon coming back to get the room keys, we realized that the request had not been answered and we were given a room with no view (besides the nearby and very noisy a/c system). When explaining the issue to the hotel crew, we were told that it was due to miscommunication and that there was nothing they could do. Staff was not professional at all and could not have handled the issue in a worse manner. Not a 4 star hotel, and definitely not worth the price! Stuffy in room. Cannot open windows and air conditioning either too strong or off. Breakfast buffet was ok. Lacked variety. Hot food barely hot. Concierge barely knew anything other than packaged tour offerings. Did not even have a real city map.